Are you perplexed in choosing between Olympus TG-4 and Olympus TG-870? Well, don’t worry, my friend, because you have come to the right place! In the following article, we are about to take a look at and discuss about the differences and comparisons between Olympus TG-4 and Olympus TG-870. 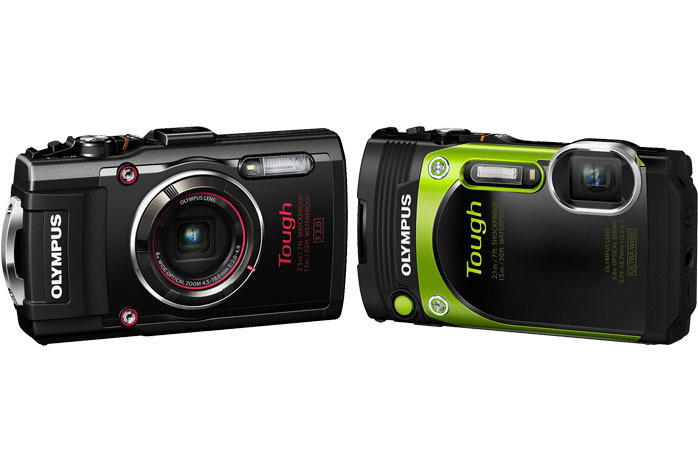 Coming from the same series of Olympus Tough digital cameras, both are also standing in a similar price range. They both are powered by the 16 MP 1/2.3″ CMOS image sensor. So, which is the one that you should get? It is interesting to point out that Olympus TG-870 is actually an update for Olympus TG-860 in our previous article. Hence, as the effect, the model shares the same advantage as the predecessor. Olympus TG-870 boasts a powerful 21-105mm that offers wider coverage and longer tele reach, with a maximum optical zoom of 5X. Thus, Olympus TG-870 makes a great choice if you need a digital camera that is able to shoot well from a distance. On the other hand, Olympus TG-4 is a digital camera that seems to be fine-tuned for general-purpose usage. One big advantage it has but Olympus TG-870 doesn’t is RAW support. Olympus TG-4 allows you to shoot pics with RAW format, which has better image quality than JPEG format. In addition, it also offers manual exposure control and AE Bracketing, as well as the unique features of Focus Bracketing and Focus Stacking. These features are very beneficial for landscape and HDR photography, but can also be handy for other purposes. Last but not least, Olympus TG-4 also happens to have better battery life than Olympus TG-870. Both models are environmentally sealed. Both also have built-in flash and Wi-Fi for easy file sharing. Olympus TG-4 makes the best way to go for general purpose and if you don’t need the extra tele reach. However, the longer tele reach can be crucial for specific photography purposes, and in this case you should choose Olympus TG-870.